Celebrate Australia's game-changing polymer notes with the Australian Polymer Banknotes Golden Tribute Collection! This set features seven beautiful tribute notes, all finished in 24-carat gold. The Collection features tributes to each of the five original polymer notes: the $5, $10, $20 and $100. 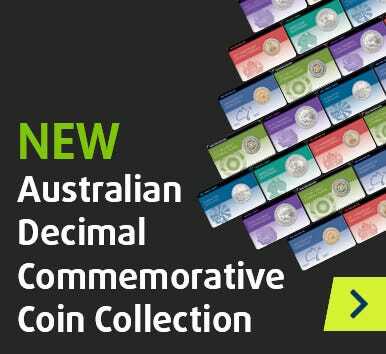 You'll also receive tributes to two commemorative notes: the 2001 Henry Parkes $5, and the 1988 Bicentennial $10 that made banknote history! Housed in an informative folder, these tribute notes are a must-have for the banknote collector. Don't miss your chance - click ‘add to cart' now to secure your set!